Our Vision: "To create an environment in which the message of God's love gets through"
Here at the Church of St. Mary the Virgin, Frensham and the Church of the Good Shepherd, Dockenfield we are a people committed to sharing the good news of God's love through Jesus Christ. This underpins our rich tradition in worship and our very being. We have a long, long history of supporting people in their life and Christian journey in this beautiful rural community and we are seeking to continue this prayerfully and practically for all future generations. We recognise that we are all on a journey learning about how we are connected to God and each other in this world and what positive difference this can make to our lives. Therefore, we welcome people of all ages and abilities, and of all faiths and none. The Benefice of Frensham is compliant withe the Bishops' Directive on Safeguarding. Our Safeguarding Officer is Jon Savage. 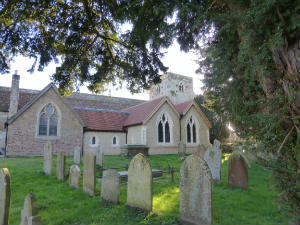 On this website you will find information about Frensham and Dockenfield churches and all that the church can offer in the form of services, support and activities for all ages. We hope you find the information you are looking for. However, we are continually trying to improve so please contact us with feedback and suggestions. We will do all we can to help. If you are planning a visit to Frensham click here for a location map. The Postcode for St Mary's, Frensham for your SatNav is GU10 3EA.